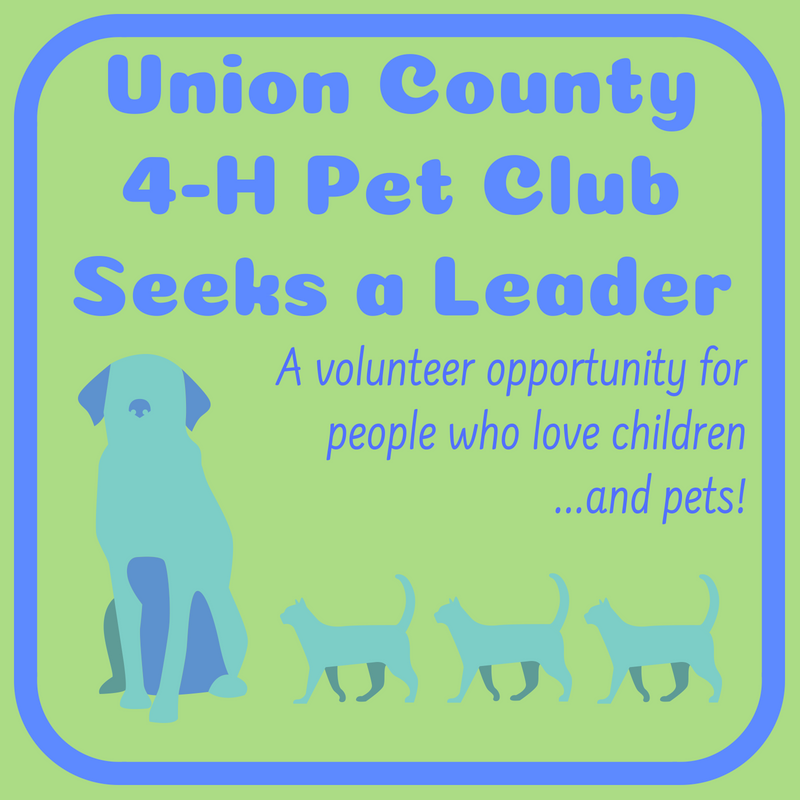 Union County, NJ – Each year, Union County students who love cats, dogs and other pets join the Union County 4-H Pet Club to explore their passion while learning teamwork, public speaking and other important life skills. Now the 4-H Pet Club is seeking an adult volunteer to lead the group during the 2018 – 2019 school year. All Union County 4-H clubs are run by the Rutgers Cooperative Extension of Union County and supported in part by the Freeholder Board. The 4-H clubs meet in small groups at the Extension offices on Saturday mornings, in the Colleen Fraser Building at the Union County complex in Westfield, at 300 North Avenue East. The meetings begin in September and follow the school calendar until next June. The Pet Club will include about 10 students in grades 5 and 6. The Pet Club leader provides guidance to the club members as they learn about pet care, including craft projects and other activities. The extension provides all 4-H club leaders with support throughout the year, including teaching ideas and materials. 4-H is a national youth development program under the umbrella of the U.S. Department of Agriculture, through Extension offices in almost 3,000 counties. The Extension system is aimed at helping the public learn, apply and share scientific research and fact-based knowledge to daily life. 4-H supports the goals of Chairman Granados’s Moving Union County Forward “Plant a Seed” initiative for engaging people of all ages in education, environmental stewardship and community volunteering. For more information about volunteering for the 4-H Pet Club or joining a 4-H club, contact Union County 4-H agent James Nichnadowicz at nichnadowicz@njaes.rutgers.edu or 908-654-9854, or visit online at ucnj.org/rce.